From live mixers to sequencing software, we’ve selected some of the best DJ equipment around. As record players go, the AT-LP1240-USB XP turntable is one of the best in the business. It is ideal for pro, mobile and club DJ use and is considered one of the most versatile, high-quality turntables DJs can get their hands on. The AT-LP1240-USB features a built-in pre-amp which enables it to be used with a variety of receivers, powered speakers and other A/V components. Its USB output enables direct connection to a computer for easy LP-to-digital conversion and it comes complete with an elegant gloss-black and silver design. 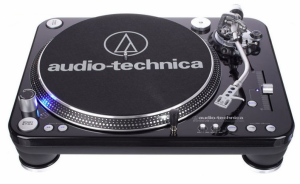 The typical price range of the AT-LP1240-USB is around the £350-450 mark. 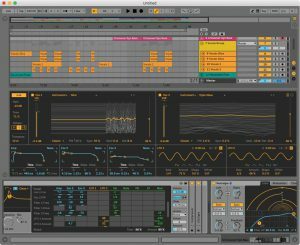 Ableton’s sequencing software is famous the world over and its latest innovation, Live 10, marks a new era in DJ’ing. Its standout feature is the new synth, Wavetable, which is capable of producing eerie, sci-fi like sounds that are unattainable by analog synths. Other notable components of Live 10 are an analog tape delay called Echo – which is most popular for its metallic effects and short delay times – and Drum Buss, an easy plug-in for beefing up your drum sounds. Download versions for Live 10 cost £69 for Live Intro, £319 for Live Standard and £539 for Live Suite. 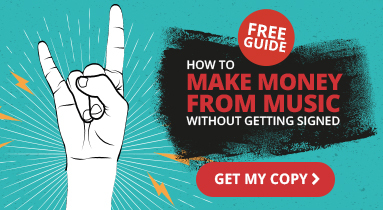 If you’re buying boxed software, those cost £89 for Live Intro, £359 for Live Standard and £579 for Live Suite. This helpful article explains the differences between each edition. 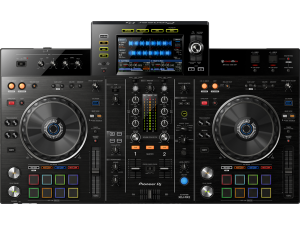 A lot of DJs were wondering when Pioneer would release a successor to its much-loved XDJ-RX controller – but after a wait of two and a half years, their patience was well and truly rewarded when Pioneer released the XDJ-RX2. The RX2 is a solid all-in-one system which offers a professional DJ experience and is ideal for those who play at clubs and festivals. It contains eight large, multi-coloured Performance Pads per deck – as opposed to the RX, which had four button-style pads – and boasts a seven-inch, full-colour touch screen with QWERTY search. 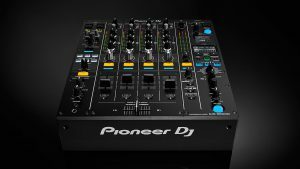 Another piece of Pioneer equipment makes it onto our list, and this time it’s the DJM-900NXS2 Live Mixer. Featuring Pioneer’s first ever 64-bit digital signal mixing processor, the DJM-900NXS2 is designed to create a warm, natural analog sound. Every channel comes with six studio-quality sound FX – Sweep, Filter, Crush, Dub Echo, Noise and Space – and the large X-Pad enables you to engage 14 different types of Beat FX and adjust the parameters with just one finger. As with the RX2, this piece of kit doesn’t come cheap, costing around £2,000. If you’re put off by the price tag, there are lots of good-quality, cheaper alternatives available. 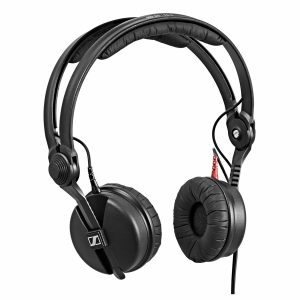 Sennheiser’s headphones have always been known for their sound quality and durability, with many DJs opting for a pair of HD-25s when playing live. But just when you thought their product line couldn’t get much more refined, Sennheiser have released the HD-25 plus model with some cutting-edge additional accessories. It comes with both coiled and straight cables (as opposed to just a straight cable) and provides greater comfort through an extra set of soft, velour style ear pads. Its lightweight design makes it perfect for single-ear listening and it’s ideal for any monitoring application – whether you’re live recording, in the booth or just travelling from venue to venue. The Sennheiser HD-25 plus headphones are available on Amazon for £196, but their longevity makes them worth every penny. If you fancy buying any of this cutting-edge equipment, you need Equipment Cover to protect it should the worst happen. 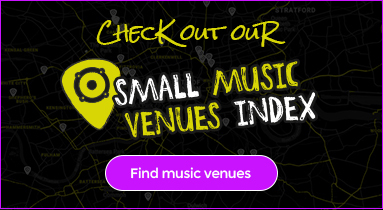 Our Equipment Cover for DJs starts from £25 a year and protects your equipment against loss, theft and damage, both at home and when you’re out and about. Get an instant online quote with us today and make sure you leave nothing to chance. ← Previous post 5 Things Wedding Singers Need To Know Before Playing At Someone’s Big DayNext post → We’ve Been Nominated For An Insurance Choice Award!